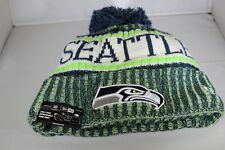 3D embroidered Seattle Seahawks logo on cuff in Navy, Silver & Green. Navy bobble on top. White embroidered New Era flag on left. Multi coloured knitted beanie hat with fold-over cuff. Navy 'Seattle' lettering around crown. Logo 3D Golden Warriors ricamato sul davanti. Logo New Era ricamato sul lato. Logo dell'etichetta NBA ricamato sul retro. Logo dell'etichetta NBA interno. Chiusura regolabile. Stile camionista. Navy bobble on top. 3D embroidered New England Patriots logo on cuff in Navy, Red, White & Silver. White embroidered New Era flag on left. Multi coloured knitted beanie hat with fold-over cuff. Navy 'New England' lettering around crown. BODEGA x NEW ERA Flanella 59FIFTY Cappello con cappuccio aderente Blu Grigio 7 3/8 (H5). Material 30% Wool- 70% Acrylic. Size 7 3/8. Color Multi-Color. Baltimore Orioles MLB ~ Nuova Era Cool Base ~ 59FIFTY On Field Cap ~ Misura Cappello 7-5 / 8 ~ Arancione Nero Bianco ~ Logo Ricamato. Adjustable 9FORTY fit. - New Era flag embroidered in tonal stitching to the left hand side. No orders will be dispatched on weekends, nor should you expect to receive them on weekends. AGE / GENDER Unisex. Green bobble on top. 3D embroidered Philadelphia Eagles logo on cuff in Black, White, Silver & Green. White embroidered New Era flag on left. Green 'Philadelphia' lettering around crown. Multi coloured knitted beanie hat with fold-over cuff. Purple bobble on top. 3D embroidered Minnesota Vikings logo on cuff in Black, White, Gold, Purple & Beige. White embroidered New Era flag on left. Purple 'Minnesota' lettering around crown. Multi coloured knitted beanie hat with fold-over cuff. Green bobble on top. Multi coloured knitted beanie hat with fold-over cuff. White embroidered New Era flag on left. Green 'Green Bay' lettering around crown. Key Features Official embroidered NFL logo in Red, Navy and Silver on cuff at the back. Blue bobble on top. 3D embroidered Detroit Lions logo on cuff in Blue & White. White embroidered New Era flag on left. Multi coloured knitted beanie hat with fold-over cuff. Blue 'Detroit' lettering around crown. Green bobble on top. 3D embroidered Miami Dolphins logo on cuff in White, Green & Orange. Green 'Miami ' lettering around crown. White embroidered New Era flag on left. Multi coloured knitted beanie hat with fold-over cuff. Black bobble on top. 3D embroidered Pittsburgh Steelers logo on cuff in Red, Gold, Navy, Black & Silver. Balck 'Pittsburgh' lettering around crown. White embroidered New Era flag on left. Multi coloured knitted beanie hat with fold-over cuff. Navy bobble on top. White embroidered New Era flag on left. Navy 'Los Angeles' lettering around crown. Multi coloured knitted beanie hat with fold-over cuff. Key Features Official embroidered NFL logo in Red, Navy and Silver on cuff at the back. Navy bobble on top. 3D embroidered Dallas Cowboys logo on cuff in Navy & White. Navy 'Dallas' lettering around crown. White embroidered New Era flag on left. Multi coloured knitted beanie hat with fold-over cuff. 3D embroidered Carolina Panthers logo on cuff in Black, Silver & Turquoise. Turquoise bobble on top. White embroidered New Era flag on left. Turquoise 'Carolina' lettering around crown. Multi coloured knitted beanie hat with fold-over cuff. 3D embroidered Jacksonville Jaguars logo on cuff in White, Gold, Black & Green. Black bobble on top. Black 'Jacksonville ' lettering around crown. White embroidered New Era flag on left. Multi coloured knitted beanie hat with fold-over cuff. 3D embroidered Atlanta Falcons logo on cuff in Black, White, Silver & Red. Black bobble on top. Black 'Atlanta' lettering around crown. White embroidered New Era flag on left. Multi coloured knitted beanie hat with fold-over cuff. This is a wonderful and really bright and colourful cap. It has been used cut only lightly, the only minor flaw I am able to find is a small dot around the back which I have shown in close up. Otherwise it's in nice lightly used condition. New Era Trucker Cap. - Classic trucker cap features. - 3D Miami Heat logo to front. SPORT TYPE Basketball. PRODUCT TYPE Baseball Cap. No orders will be dispatched on weekends, nor should you expect to receive them on weekends.